FABULOUS VILLA OPTION & OFFERING MUCH MORE! 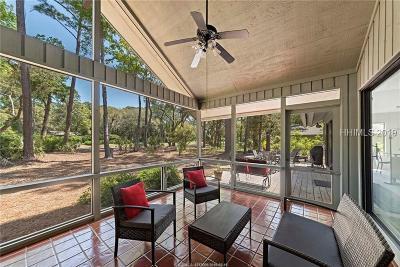 Spacious 2 BR/2 BA (One Bedroom has fireplace) Home with golf views and large screened porch and deck for entertaining. Being sold fully furnished. Renovated 2017/2018 â new floors, new roof, new furnishings, new water heater, etc. Wonderful Island getaway located on private cul de sac with expansive golf views of the Sea Pines Country Clubâs private golf course.